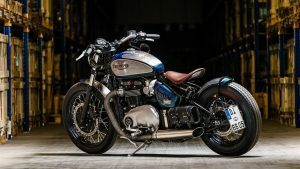 With the launch of the Triumph Bonneville Bobber, the company has completed its line-up of models to take on the competition. The range starts from 865cc and extends to 1200cc. The Triumph Bonneville Bobber's base is principally based in Bonneville T120. Both share the same engine and the frame. This bike is clearly designed to keep in mind the eye pleasing retro Bobber styling. 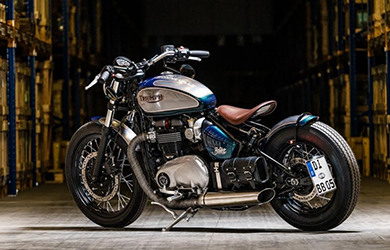 The Triumph Bonneville Bobber has the appearance of hard tail that does justice to name. Dual exhausts are actually short. They appear prematurely sliced. The engine head is coloured black and made attractive with the combo of chrome flywheel or clutch casing. The Triumph Bonneville Bobber has the same 1200 cc liquid cooled and parallel twin engine as present in the Bonneville T120. 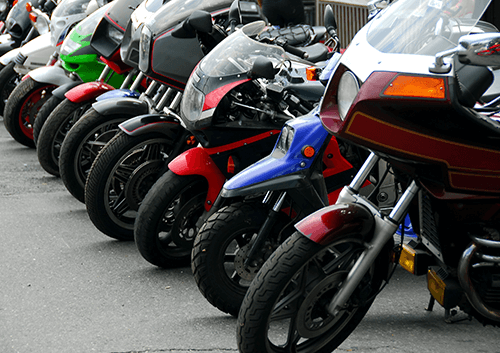 However, the same engine is tuned differently to suit the bike's character. The engine generates 77PS at about 6,100rpm. There is also a healthy 106 Nm torque at a quite low 4,000rpm. A multipoint and sequential electronic facilitated fuel injected system gives power to the engine. The compression rato comes to 10.0:1. Clutch consists of wet assist unit of multi-plate. The engine comes with six speed transmission. The Bobber look is achieved by a single floating seat made of aluminium. The seat could be adjusted to the 'down and back' and to the 'up and forward' position. The speedometer can be adjusted by an angle. The face can be tipped up. It can be pointed directly towards the rider. Alternatively, it can be laid more flat as per in design of the bike. The Triumph company came by the hard-tail appearance through pairing of classic swing-arm with the under-seat shock complete with linkage. The development team at the company reputedly debated on the quantity of suspension travel located at rear. A few team members batted for authentic looks while a number of others wanted modern capabilities. The result is 3.0 inches travel. The ride is quite nice after all factors are taken into account. The Triumph company has also pared away excess parts. A clean line has been achieved in the design. The Triumph Bonneville Bobber comprises of a single disc upfront of 310mm complete with a Nissin 2 piston caliper. The latter is a floating one. 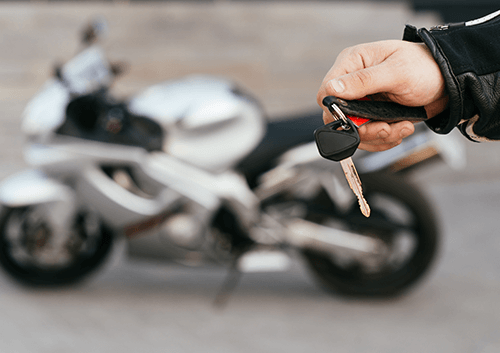 The bike is equipped with an Anti lock Braking System or ABS as a standard equipment. Suspension functions are achieved by the 41mm dimensions KYB forks located upfront. It comes latter with 90mm travel. The KYB monoshock has linkages at the rear. This bike has got the Traction Control System and the Riding Modes come as standard. This bike comes with a 100/90-19 tyre in the front and the 150/80 R16 tyre at rear. All two wheels are matched spoked with the bike appearance. The Triumph Bonneville Bobber is at present the sole motorcycle in Big bike category that comes as Bobber in the stock form. 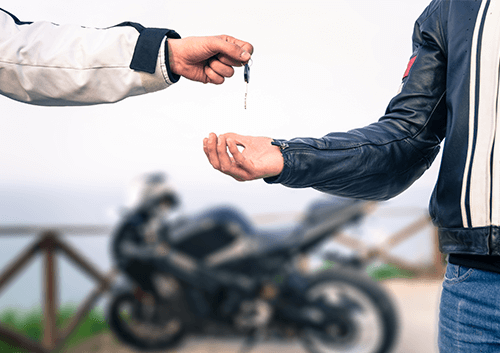 This bike goes against the Suzuki Intruder M800 and the Harley Davidson Forty-Eight when it comes to character and pricing.